The official weigh-ins for “UFC Fight Night: Teixeira vs. Bader” take place today inside Mineirinho Arena in Belo Horizonte, Brazil. Stream Tuesday’s weight contest live right here on 5thRound.com starting at 3PM ET/Noon PT. 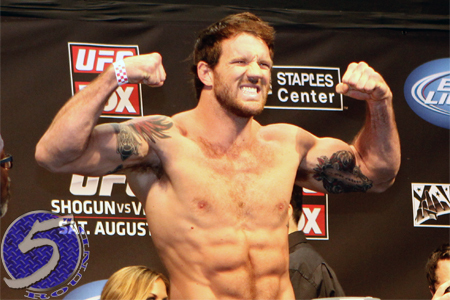 Ryan Bader (pictured) faces Glover Teixeira in Wednesday night’s featured fight. Middleweights Ronaldo “Jacare” Souza and Yushin Okami battle in the co-main event. Fox Sports 1 broadcasts the main card live beginning at 8PM ET/5PM PT.